From March 14-16 Pokeshot///SMZ was a sponsor of the JiveWorld 2016 in Las Vegas. Over these three days the world’s leading conference for modern communication and collaboration – held this year under the motto “The Power of Connection” – drew top thought leaders, customers, social business collaboration experts, and developers to Las Vegas to share knowledge and best practices. 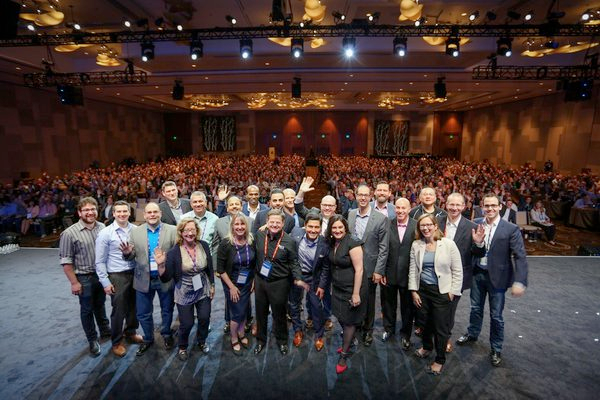 “JiveWorld 2016 was a huge success for Pokeshot///SMZ. We announced Jive certification of our award-winning social learning solution SmarterPath, had a number of interesting conversations at our booth and received a bunch of positive feedback from Jivers and conference participants.“ said Stephan Müller-Ziebur, founder and managing director of Pokeshot///SMZ. SmarterPath takes a unique approach to learning by focusing on its social aspects and emphasizes how important it is to learn from each other’s experiences in a naturally collaborative environment. It accelerates adoption of your Jive ecosystem and incorporates the learning process into the daily routine, while allowing learners to take courses at set times and places and to learn from their peers. This is how learning is done differently with SmarterPath. We’d like to express our gratitude to Pete Rendek, Web and Digital Content Manager at Avnet Technology Solutions, who kindly shared with attendees successful learning use cases implemented at Avnet. We’d also like to acknowledge the immense contribution made by Stan Jeffress, who has a long track record with various LMS solutions and is co-founder of Vector612, and express our appreciation for his nearly round-the-clock support at JiveWorld. Learn more about Pokeshot///SmarterPath and watch our short intro video. JIVEWORLD16, LAS VEGAS – March 15, 2016 – Today, at JiveWorld16, the premier conference for modern communication and collaboration, Pokeshot///SMZ announced its successful Jive certification of Pokeshot///SmarterPath. As a forward-looking learning management system (LMS), Pokeshot///SmarterPath focuses on social learning. It brings the e-learning processes of any organization to a whole different level by embedding learning directly into the Jive user experience. Course creators can leverage content directly from Jive as well as quizzes, HD video and online trainings to build their courses and also re-use already existing learning content within Jive. “As a Jive certified technology partner, we are committed to adding value to Jive’s customers. With SmarterPath, learning will become an ongoing process and be a regular part of your employees’ working day. Participants can progress through their training while they work using the familiar functionalities of Jive to collaborate with their peers. SmarterPath is truly ‘learning done differently.’” said Stephan Müller-Ziebur, founder and managing director of Pokeshot///SMZ. In October 2013 Pokeshot///SMZ became the first company ever to win a Jive Award in the category “Extend Jive” – in recognition of its innovative social learning add-on SmarterPath. 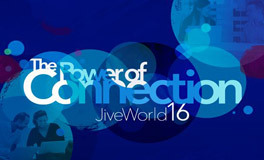 JiveWorld16 is the premier conference for modern communication and collaboration, which was attended by more than 1,600 Jive customers, developers, and technology partners. Pokeshot///SMZ is an innovative software and consulting company with its own product development department. Based in Germany and operating worldwide, we offer business consulting, professional services and tailored product development, all in the pursuit of one goal – to extend the capabilities of collaboration software. Our experts have extensive best practice knowledge thanks to more than 9 years’ experience in social business collaboration.